There’s a never-ending supply of fantastic expositions, events and concerts to check out in the Mexican capital, but sometimes the rush of the city gets to be too much. For that reason, we’ve put together a guide to the best eleven pueblos to visit for a day or two outside of Mexico City. Escape from the chaos of the capital and relax in these quaint towns and villages that offer a more relaxing vibe than the capital. 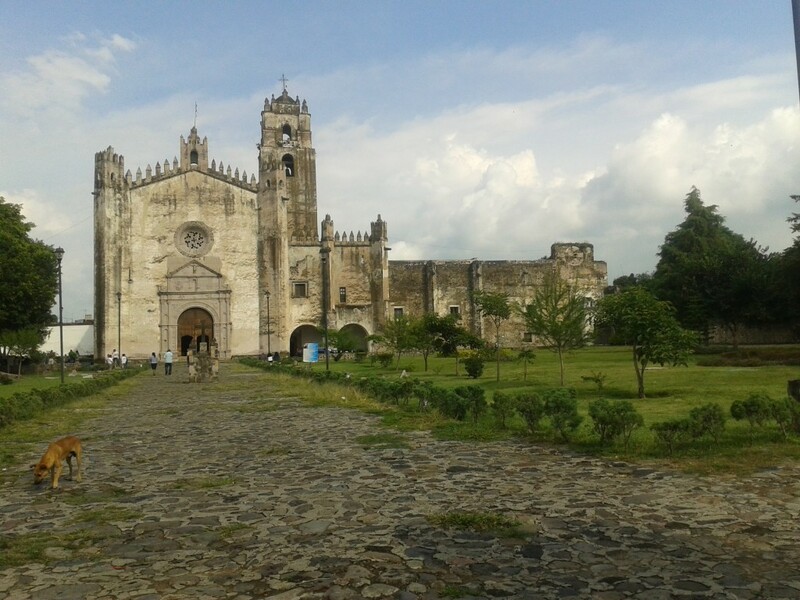 A lesser known destination in the state of Morelos is Tlayacapan. Tlayacapan is where you’ll find all of the things that make Mexico great: fantastic food, rich culture and lots of artisanal products. Just two hours outside of Mexico City, this village is the perfect place to try out the age-old temazcal ritual, a steam ritual that claims to purify the spirit. Aside from that, you can visit the Ex Convento San Juan Bautista and the museum contained within, as well as explore the quaint center. Puebla state as a whole makes for a classic day trip from Mexico City, but tiny Cholula is well worth checking out in its own right. In this small town you can find Mexico’s largest pyramid — well, in terms of volume at least, as the actual height of the pyramid once dedicated to Quetzalcoatl best compares to a small hill nowadays. 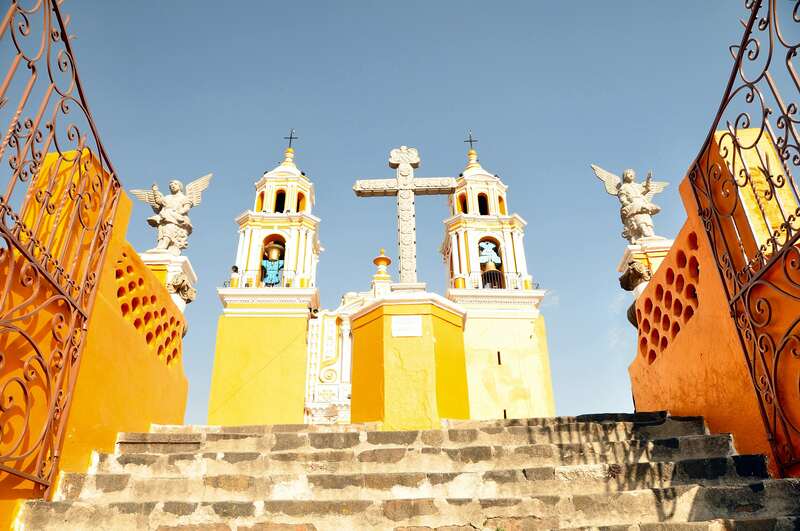 In addition to archaeological points of interest, Cholula also boasts a ridiculous number of religious buildings for a town of its size; there are rumored to be more than 70. Known as the birthplace of the Mexican pasty (Hispanicised to paste), Real del Monte also goes by the name Mineral del Monte. Unsurprisingly, and as you might have guessed by the pasty heritage and ‘twin’ status it shares with towns in Cornwall, UK, this pueblo was once famed for being a mining town. Nowadays, you can explore its winding streets, pleasant central square and even the annual paste festival that takes place in mid-October. 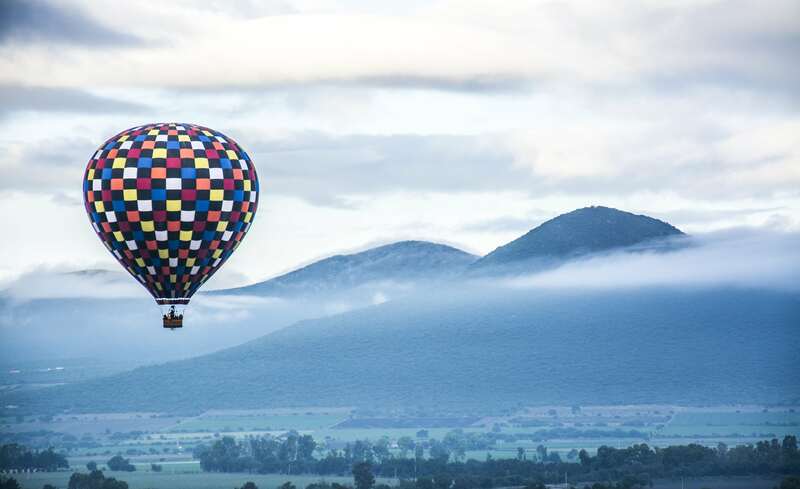 A colonial village originally founded by Spaniards, this Querétaro destination is most famous for being home to the giant stone monolith named Peña de Bernal — it ranks as the third largest in the world and certainly makes for a majestic sight. 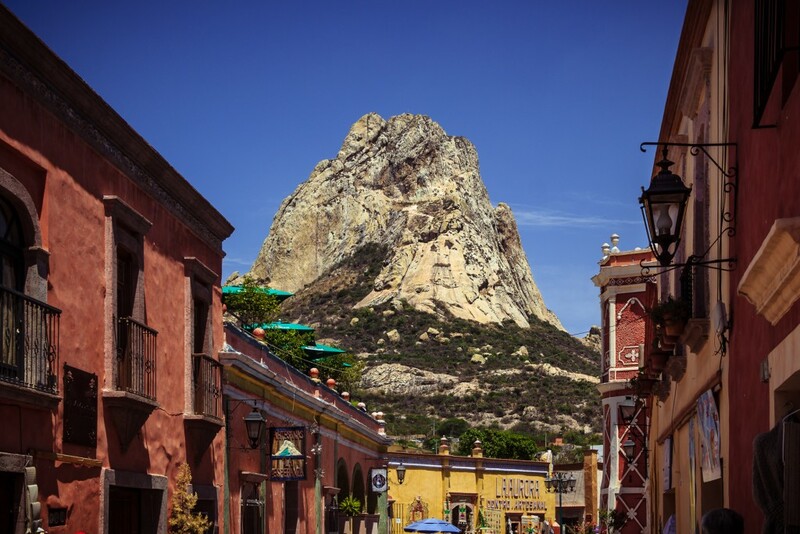 Aside from its main tourist draw of the Peña de Bernal monument, it also has a lovely, colorful town center and an incredibly small population of less than 3,000 people. 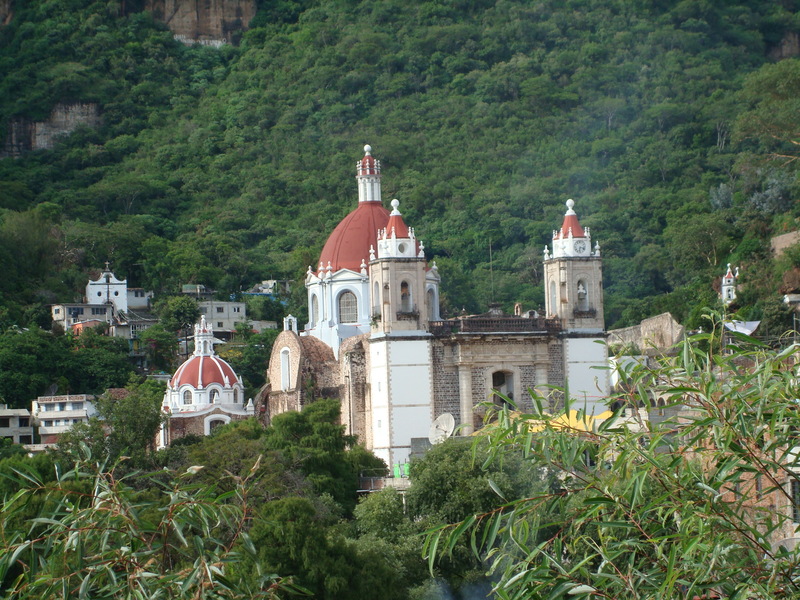 Situated incredibly close to Mexico City is Chalma in the State of Mexico. 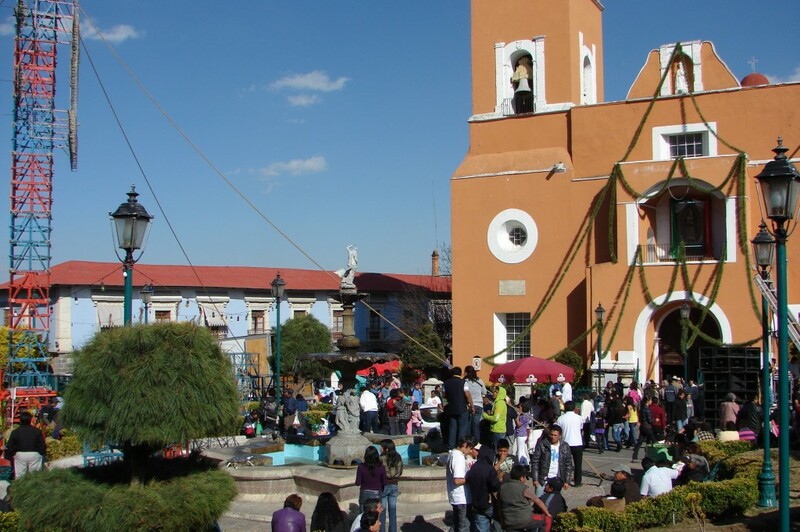 Forming part of the Malinalco municipality (which is worth a visit for its connections to all things magical), Chalma is a tiny village most noted for the Santuario de Chalma. This sanctuary is home to the ‘black Christ’, which supposedly appeared out of the blue on a cross. In reality, Spanish friars most likely added it to convert the residents to Christianity, but even so, it’s still Mexico’s second most visited holy site after the Basílica de Guadalupe in Mexico City. 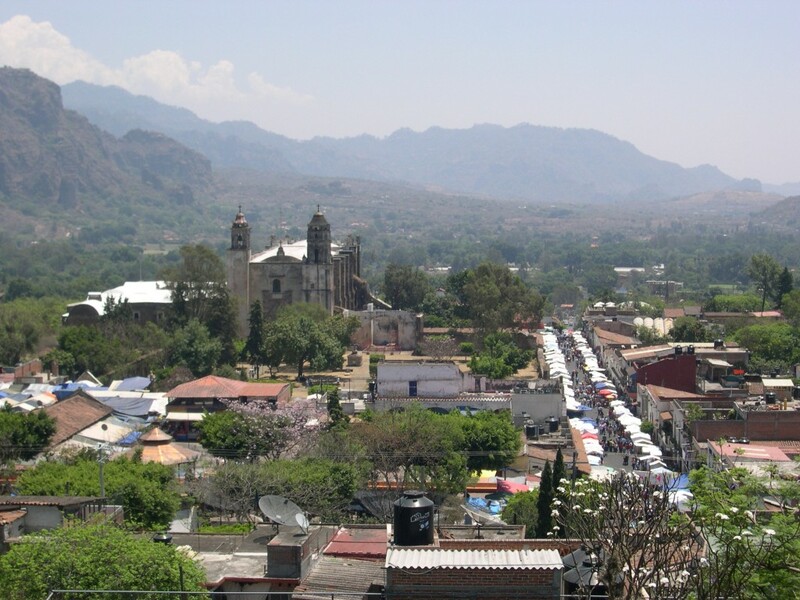 Situated about an hour drive away from Mexico City is the pueblo of Tepoztlán, Morelos. This is a popular destination with both locals and visitors alike due to its particularly intriguing reputation. 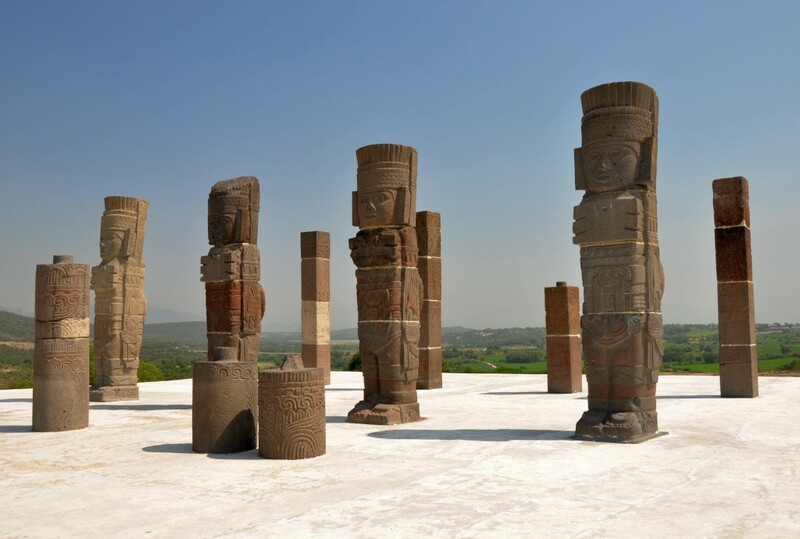 Located in a valley alleged to have mystical powers, it’s one of the places with the highest rate of alien sightings in all of Mexico and was the supposed birthplace of Quetzalcoatl. With an Aztec pyramid topping the Tepozteco mountain, Tepoztlán is the perfect place for a weekend retreat. Another pueblo within an hour of Mexico City is Tula de Allende, Hidalgo. This spot is best known for the Tula archaeological site, which has a number of large carved warrior figures and makes it well worth a visit for fans of history and culture. In addition to the archaeological appeal of Tula de Allende, there is also the parish of San José, around which the town is centered. 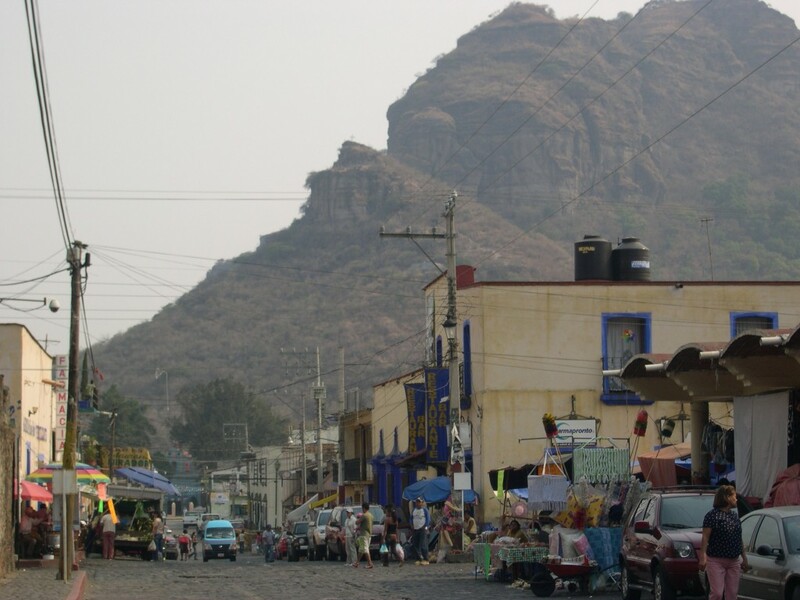 Proceed with caution if you intend to visit the tiny village of Angangueo, as it’s located in the state of Michoacán, known to be currently undergoing a period of insecurity. 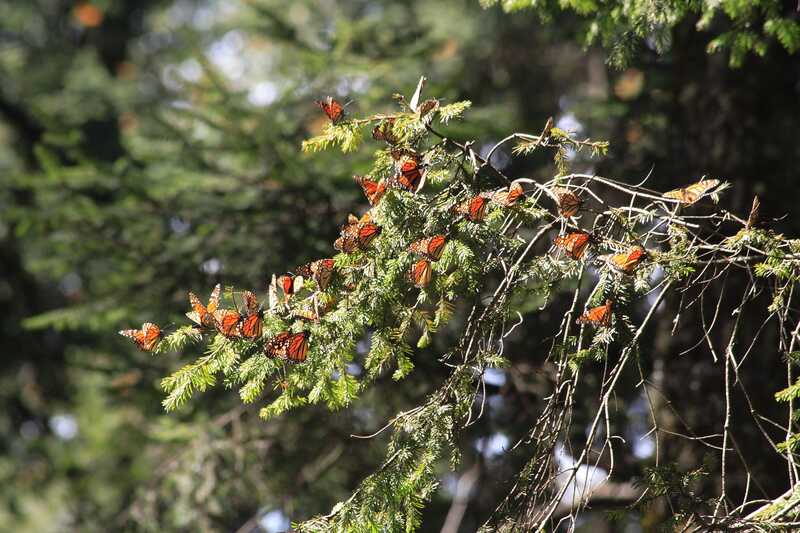 However, the village itself makes for an excellent day or weekend trip, especially for those travelers whom wish to observe the majestic monarch butterflies undertaking their annual migration patterns. Make your journey between the months of November and February to catch a glimpse of this awesome natural display. Another hugely popular destination for residents of both Mexico City and Querétaro State is Tequisquiapan, a colonial town that is also part of the Ruta de Vino (Wine Route). If you’re looking for a boozy day trip, as well as the chance to sample Mexican wines, Tequisquiapan might be the best spot for you. It is also known for its several spas, or balnearios. 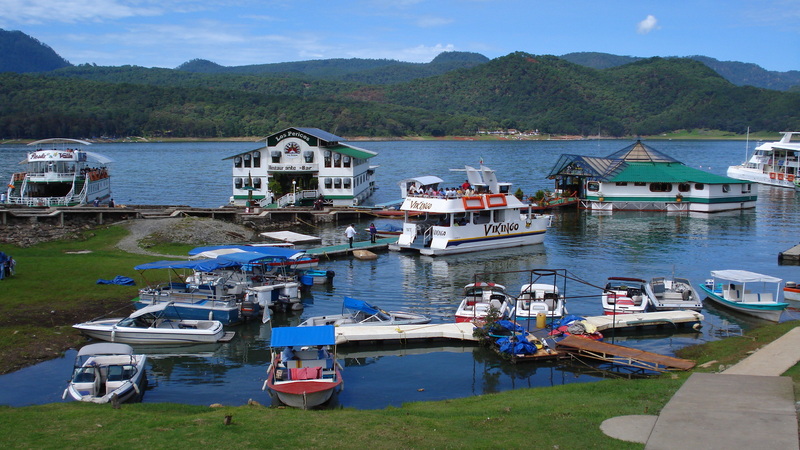 A popular weekend vacation spot for the wealthy of Mexico City, Valle de Bravo is situated right next to Lake Avándaro and is known for hosting motor racing and rock music events. The main attractions of this village, aside from a pleasant climate and beautiful lakeside location, include chapels, churches and the central gardens. It is also close to monarch butterfly sanctuaries, should you wish to check that out during your stay in Valle de Bravo. Food lovers need look no further than the pueblo of Yecapixtla in Morelos. While you can grab all sorts of street food and international fine-dining cuisine in Mexico City (plus everything in between), this tiny destination boasts a reputation for having some of the best cecina in the country. This cured meat can be found in smoked and spiced versions throughout the village, and can be eaten in a taco or simply saved for later. Check out the Templo de San Juan Bautista while you’re in the area, too.